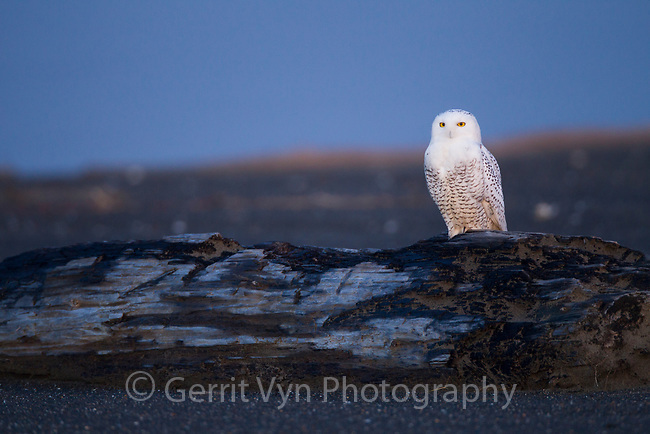 Male Snowy Owl (Bubo scandiacus) at dusk on the Washington coast. This owl made aerial passes at shorebirds and waterfowl over Gray's Harbor. Grays Harbor County, Washington. December.